Your pet's wellness starts with a trip to All Pets Animal Hospital in Peoria, Arizona. 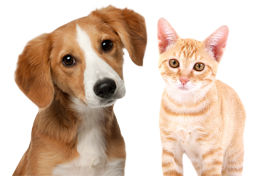 We provide comprehensive veterinary care for dogs, cats and exotic pets throughout Peoria, Glendale, Phoenix, Sun City and the Surprise area. When you choose All Pets Animal Hospital to be your pet care partner, you can rest assured knowing that your pet is receiving veterinary care based on the most advanced medical protocols from a welcoming and dedicated team. Help your pet be happy and healthier today. Give us a call at (623) 334–3030 to schedule an appointment.